This section of my website is here to help you ensure your Dogs Health is as good as it should be. Dog owners are often required to make decisions regarding many medical and health related issues. Decisions about dog health and treatment should always be made in an informed and intelligent manner. Whilst most veterinary practices are highly professional and responsible organisations, it must be said that some are not so professional and we have personal experience of this as well as comments from dog owners which suggest our experiences are not as rare as one would hope. With the increasingly large sums of money which veterinary companies charge, and which owners are happy to pay for all manner of checks and treatments in dogs, it is not surprising to see some vets and practices cashing in on this massively booming business where there is almost a peer type pressure on owners to spend a fortune on their dog, otherwise the world will assume they are a bad owner which is unfair and often wholly inaccurate. With that in mind, and considering that ANY medical intervention or drug is not usually a natural or healthy option for any animal, I believe decisions on treatments and medicines should be made by the owner with a free and balanced mind, using the information they have including that information they receive from their trusted veterinarian. More importantly, your dog's welfare and future health and happiness is down to YOU, and the only person who knows your dog best, again is YOU. 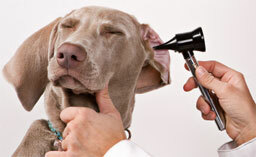 Vet advice is essential and highly valued when given as it is in most cases, i.e. for the benefit of the dog. If you have any doubts as to whether this is the motive behind your vet's advice or suggestions, I would advise you to speak to another vet nearby, if for no other reason than to seek a second opinion on the matter. Sometimes different vets have different opinions about the best way to treat something, but the process of hearing differing points of view is often a valuable and money-saving process, and the dog may benefit too. There are plenty of vet practices to choose from these days, and by making sure you demand nothing less than the highest standards of service in return for the increasingly high fees charged by the industry on the whole, you will not only improve your own personal vet experiences, but you will help keep the industry tuned into the fact that the dog owner is a not a blank cheque, but an intelligent, informed and rational consumer who demands nothing but the best for their dog. There are many dog health problems and issues which could affect you or your dog these days, and cancer is one of the fastest growing of all. Just a matter of decades ago, animals getting cancer was completely unheard of, and I believe this is mostly due to commercial dog food, and the fact that dogs no longer live as close to their natural origins as they did even just half a century ago. Whilst society moves on, we must remember that it is not our place to try to advance our dogs too quickly for nature. Dogs are 99% wolf, and no matter how much we wish to impose our commercial and fashion orientated approaches to life on ourselves, to do so to our dogs is, at best irresponsible and at worst, nothing short of abusive. A dog needs few things in its life to satisfy its natural health requirements. Above all things, the most important fundamental part of a healthy dog is its diet. A dog's fundamental needs, to maintain health of both mind and body, are: a healthy diet, a healthy relationship with its owner (which includes training), a good deal of physical exercise and plenty of mental stimulation. If you are lacking in providing any of these to your dog, then ill health of one kind or another is sure to follow. Good dog health begins at home, and usually ends at home too. For those dogs who suffer misfortune of ailment and disease, the vets are always nearby, but without a healthy approach to life at home, vets can only treat dog health problems as and when they arise. It's up to you to prevent them as much as you can, through knowledge of your dog's health needs.